Gilead Sciences’ big plans in non-alcoholic steatohepatitis (NASH) have stumbled at the first hurdle, with lead candidate selonsertib missing the mark in its first phase 3 trial. The STELLAR4 trial of the ASK1 inhibitor involved patients with advanced NASH (F4) that had developed into compensated cirrhosis, where there is a high level of fibrosis in the liver. Analysts have said that expectations for the drug in this hard-to-treat setting were low, however, and that selonsertib could still find a role in less severe NASH. In the trial, selonsertib failed to meet the primary endpoint at week 48 of a 1-stage or greater improvement in fibrosis without worsening of NASH, seen in 14.4% of the active treatment group and 12.5% of those on placebo, although it was safe and generally well-tolerated, consistent with previous studies. NASH has been a big focus for the pharma industry for a few years now, with dozens of treatments coming through the pipeline. It causes fatty build-up and fibrosis in the liver, in serious cases leading to cirrhosis and the need for a liver transplant. There are no approved therapies at the moment, but as there are millions of patients on the NASH spectrum worldwide some estimates put the market potential at more than $20bn. Analysts at William Blair suggest expectations for selonsertib were low in the F4 patients as the drug’s main mechanism of action is to tackle inflammation and fat deposition rather than fibrosis. They note prior studies of the drug were in F2 and F3 patients with a much higher level of inflammation and fatty tissue and showed some potential to reverse fibrosis. In F4 patients, there is much less inflammation and little remaining fatty tissue. Gilead has various other trial readouts for selonsertib this year, including the phase 3 STELLAR-3 trial of selonsertib in patients with bridging fibrosis (F3) due to NASH in the first half, but losing the F4 target population means William Blair has cut its peak sales forecast for the drug by $1bn to $3.8bn. They have however reduced their estimate of the STELLAR-3 trial being a success from 70% to evens, but note that “there is still a chance for selonsertib to work in F3, based on the higher inflammatory state in this stage”. 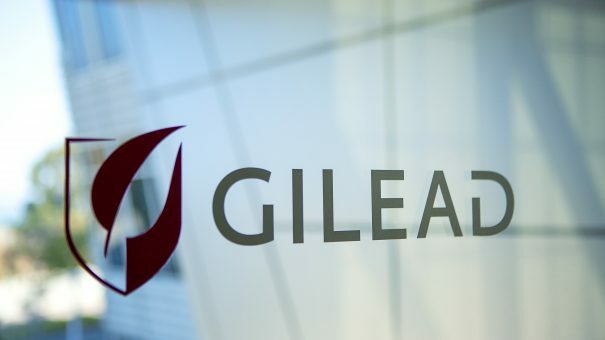 Gilead has multiple assets for NASH in its portfolio, and this year will also see a readout from the phase 2 ATLAS trial of selonsertib alongside cilofexor (GS-9674) and firsocostat (GS-0976) in patients with advanced fibrosis due to NASH. Nevertheless, William Blair thinks the setback could prompt Gilead to seek out other licensing candidates to expand it liver disease pipeline, and they think one possible candidate could be Viking Therapeutics’ VK2809, one of only two β-selective thyroid hormone receptor agonists in clinical testing alongside Madrigal’s MGL-3196. In phase 2 testing, VK2809 was shown to significantly reduce fat in the liver – another key pathology in NASH – and have good tolerability. If that profile translates into a phase 3 win they think the drug could make $1.25bn-$1.7bn in US sales alone. While selonsertib grew out of its own R&D efforts, Gilead’s position in NASH has come mostly from acquisitions, including Arresto for $225m in 2010, Pfenex for $470m in 2015 and Nimbus Apollo for $400m upfront and up to $800m in milestones in 2016.